Adderall XR was launched with the idea that the medication can be taken for single daily dosing instead of taking multiple doses in a day as with the immediate release formulation. Available as a combination of amphetamine salts, Adderall is among the commonly prescribed medications for attention deficit hyperactivity disorder (ADHD). This drug is considered to be highly effective. The longer lasting effects of the XR formulation help the patients in many ways. Why take Adderall XR as a single daily dose? There is more than enough reason to consider taking Adderall XR as a single daily dose. The immediate release formulation only lasts for about six hours. However, the extended-release capsules can last in the system for about twelve hours. A single dose taken in the morning would be sufficient in providing therapeutic effects throughout the day. The ADHD patient would not have to go through the course of multiple doses in a day, which becomes tedious when children have to follow this dosing schedule. Caregivers to ADHD children can also find some relief with the medication. Adderall XR has been proven for the safety of use in both adults and children, and this can help significantly improve the patient’s quality of life. 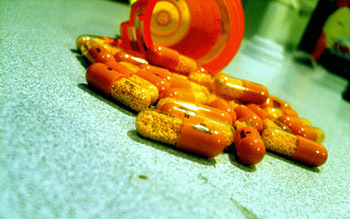 Adderall XR is available in the capsule form in a two-stage delivery system with the combination of the amphetamine salts. This system of delivery has some unique advantages that patients can benefit from. The XR capsule contains 50% of immediate release beads and 50% of controlled release beads. The latter is polymer-coated in order to delay the release of the medication. When the Adderall XR pill is consumed, the immediate release beads take effect immediately, while the delayed release beads start working after a period of four hours. This is why the drug works well as a long acting stimulant and a single dose in a day is sufficient to control the symptoms of ADHD throughout the day. Understanding this mechanism of action is important as it helps in taking the medication better. These capsules are available in the dosage strengths of 5mg, 10mg, 15mg, 20mg, 25mg, and 30mg capsules. The dosing schedule is commenced by prescribing the lowest effective dose due to the drug’s ability to quickly build tolerance. In case the prescribed dose of Adderall XR is not effective anymore, the doctor would either increase the dosage strength or recommend a medication interval. ADHD treatment with Adderall XR should only be commenced under the doctor’s supervision and by following the dosage instructions without deviating from the treatment plan. Since Adderall XR would be prescribed as a single daily dose for its long acting stimulant effects, the drug requires taking it only as directed for the best results. The capsules should ideally be swallowed whole without breaking or chewing them. For children who have difficulty in swallowing medication, the capsule may be opened and the contents mixed with applesauce. This mixture should be consumed right away without chewing. Storing this mix for later use is not advised. The Adderall XR medication for single daily use should always be taken in the morning as the longer lasting effects can interfere with sleep. If the dose is missed, skip the dose entirely if it is already past noon. Consult with the doctor if you have any queries with the dosing schedule. Is Adderall XR suitable for long-term use? It is recommended for use for the period of three to four weeks only. The healthcare provider should evaluate the usefulness of the medication from time to time and prescribe the treatment according to the health needs of the patient. At all times, following the dosing schedule is essential in ensuring that the long lasting stimulant effects of Adderall XR are ideal for single daily dosing.